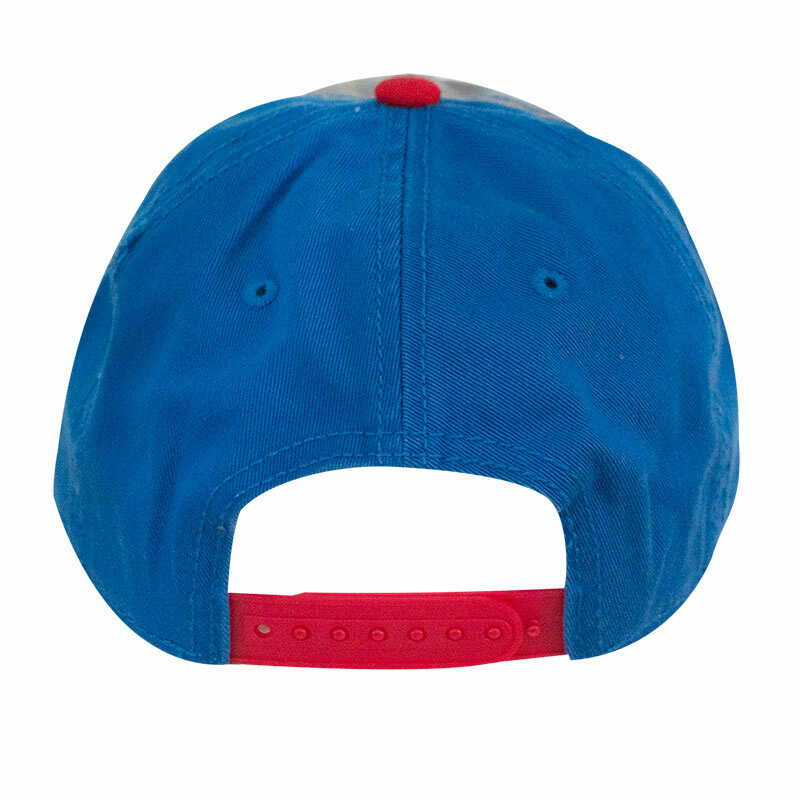 Men's grey and blue Budweiser snapback hat. 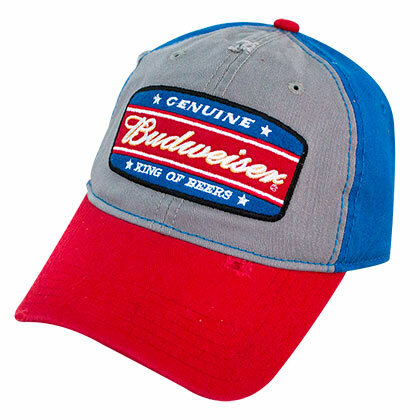 Features the classic "King of Beers" logo on the front with an adjustable back and red brim. Officially licensed.